Providing humane, non-chemical animal control throughout our service area. Welcome to the home office of Rid-A-Critter, Inc., the most well-established and best-equipped regional wildlife management company in the region. Rid-A-Critter was founded in 2001 to bring a fresh, environmentally enlightened, and scientific approach to nuisance animal control and wildlife management. We have grown to become the region's largest wildlife management company. We have built our reputation by providing high quality, professional, environmentally sound, and humane animal control, along with business practices that have earned us the Better Business Bureau's highest rating and the coveted TrustDale Certification. We also employ technicians who live in and know the regions that they service, but who also have plenty of backup available from the rest of the crew for those really big jobs. We service both residential and commercial accounts. No job is too big or too small, and we pride ourselves on treating every customer with the same high standards of respect and appreciation. Please contact us if the critter you need controlled isn't listed. In short, we're a full-service animal control company and can handle any wildlife problem. Please contact us for more information or if the critter you need controlled isn't listed. For services in Alabama, please visit our Alabama office. Our region is growing. According to the U.S. Census Bureau, Georgia's population is one of the fastest-growing in the country. But as the human population increases, so do conflicts between humans and wildlife. Rapid development is causing wild animals to be displaced from their natural homes. More and more wild animals are being forced to live near human-occupied areas, creating an increased need for humane animal removal. At Rid-A-Critter, our emphasis is on humane wildlife management. The animals were here first, after all, and they're just trying to survive by adapting to the ever-growing number of humans moving into their neighborhoods. But it's also true that when animals and humans live closer and closer to each other, incidents of property damage and animal attacks upon humans, domestic animals and livestock increase. And so, unfortunately, does the risk of zoonotic diseases like rabies, mange and other parasitic diseases, and histoplasmosis. 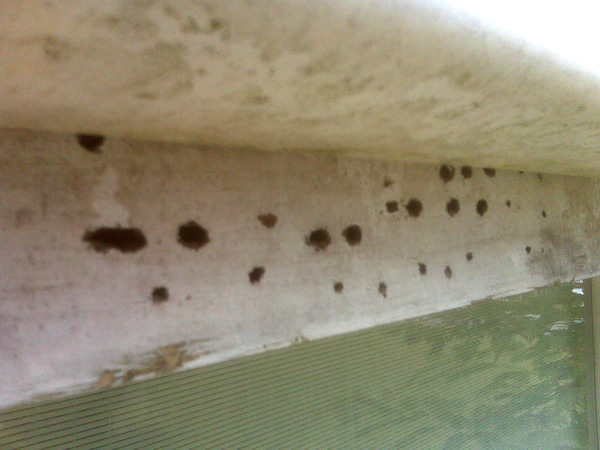 In addition to the health risks, animals and pests often cause physical damage to buildings, which ranges from nuisance-grade (such as the holes drilled by carpenter bees), to potentially devastating (such as the risk of fire created when squirrels, rats, or mice gnaw on the insulation of electrical wiring). Animal damage also can result in secondary moisture damage when animals damage shingles and flashing, allowing rain and moisture to get in to a home. To reduce these risks and live in harmony with urbanized wildlife, we need humane, earth-friendly, professional animal control. At Rid-A-Critter, we know that wildlife management and environmental stewardship go hand in hand. We were providing "green" animal control services long before "green" became a buzz word. Our crew of animal control professionals can humanely trap, remove, or relocate almost any nuisance animal from your home, commercial office building, church, barn, or anywhere else on your property, in accordance with all federal and state laws. Rid-A-Critter is licensed by the states of Georgia, South Carolina, and Alabama to provide animal control services. We also are fully insured to protect you and your property. We provide high-quality service at reasonable cost. Our professional technicians are carefully screened, drug-free, receive continuous, ongoing training, and live in the areas that they service. We serve both residential and commercial accounts. Our repair check field supervisors perform unannounced Quality Assurance Inspections on active jobs to assure that our high standards are being maintained, and our employees work with the finest equipment and materials available. We will continue to pursue perfection in all we do, and your business will be greatly appreciated and rewarded with our total efforts. We know you have choices and sincerely hope you will choose us for your animal control needs. On behalf of our entire crew, thanks for choosing Rid-A-Critter.